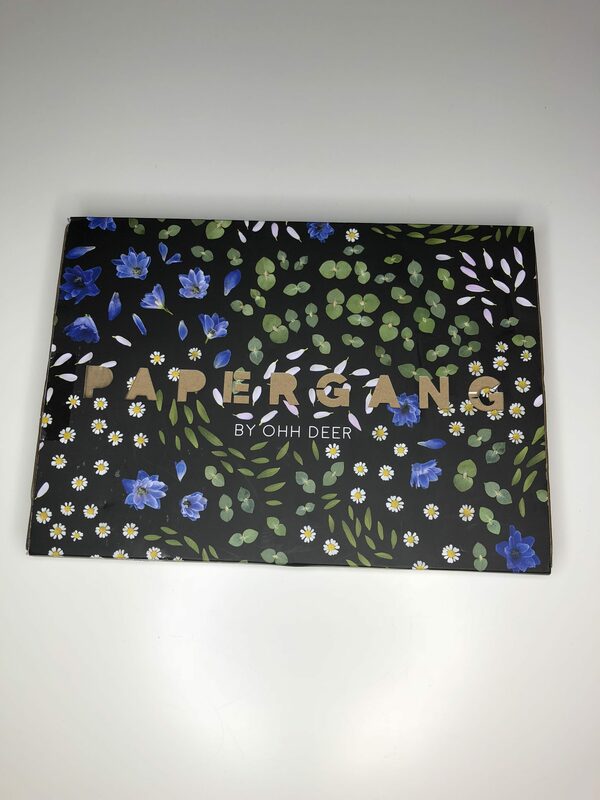 Papergang is my favourite subscription box I receive monthly. Who doesn’t love stationary? Everyone uses it for school, work and even home. There is some pretty cute stationary out there. Papergang costs £13.90 including postage. I do this on a monthly subscription so can cancel at any time. I think its really good for money, but I will show you what I have received for June and you can decided. First of all lets talk about the packaging. So most boxes are a rectangular cardboard box with printed sleeve, and punched out papergang lettering to show the cardboard. I have had one box arrive as a cylinder though which was interesting. I love the print on this. Though it doesn’t really shout out summer to me, it is unique and the greens and blues in the flowers really bring it together. The back of the packaging which I am sorry to say I forgot to photograph is the green of the leaves. 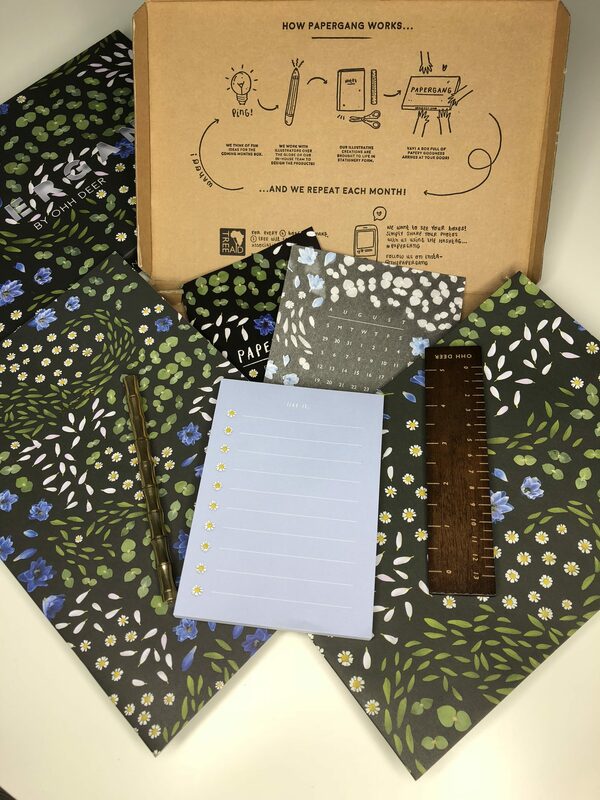 Most months it has an activity on it, this month being 6 plant tags, you can write on each tag information such as how much water the plant needs, how much sunlight etc. The way they package it, wrapped in tissue paper and the lid of the box showing how the box was made is cute. Unfortunately this month the tissue paper was damaged on mine but is still reusable for presents. When I opened this box in prezzo restaurant I could see my 6 year old niece’s eyes lit up at the amount of stationary was in the box. Now she loves to write, draw and create so even for a 6 year you could buy this as a present. 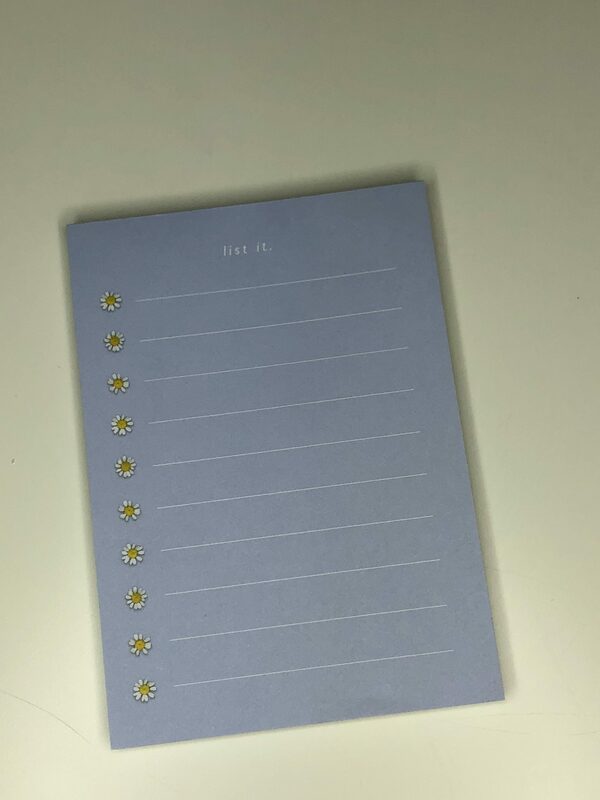 The first thing I picked out from my box was this lovely A5 list it note pad in blue with white writing and daisies as the bullet points. Lists are good for me, shopping I will buy what I fancy unless I have a list, even packing for holiday I like to list things so I don’t forget anything. I love the colouring and how its layout is. I think its really cute. I love the daisy bullet points. The next thing I picked out is something you get monthly and if you have seen on my Instagram these feature in my new month posts. 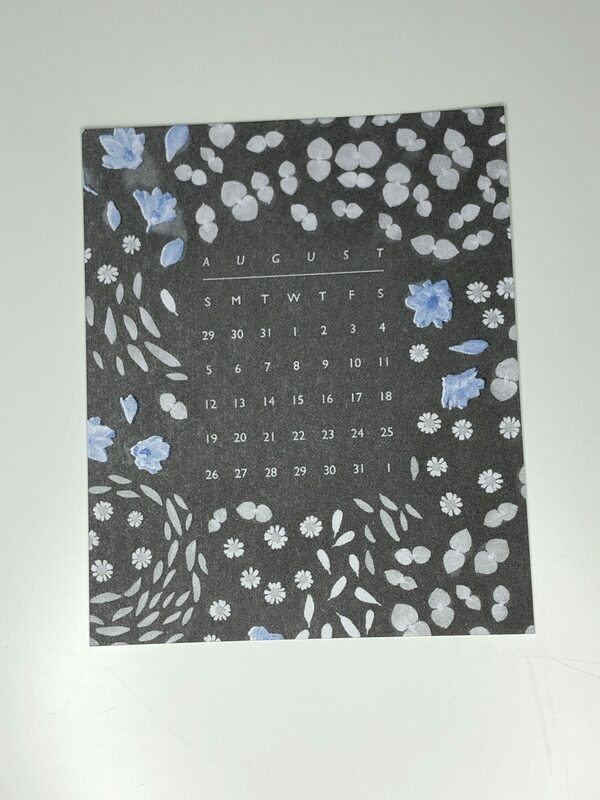 This calendar page sort of matches the box cover but is missing the green leaves. I think this really stands out though it wouldn’t of been something I would of picked for an August calendar sheet. The added pop of blue makes the writing clearer and I can’t wait to use this as part of my Hello August post. For those who have been following me a while will know I am forever loosing rulers. I can never find one when I am doing a bullet journal tutorial so the lines down the page are wonky. 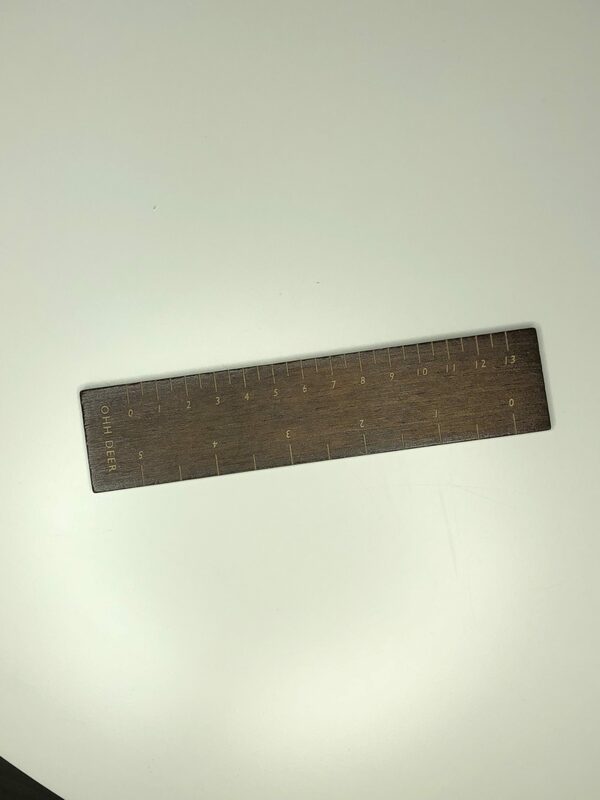 This small ruler is wooden and really matches the theme of this box. I guess you could say its earth like. The engraved numbering really stands out being in the lighter colour and this is definitely one I will not be loosing. I have already but it in my pencil case with my bullet journal pens. 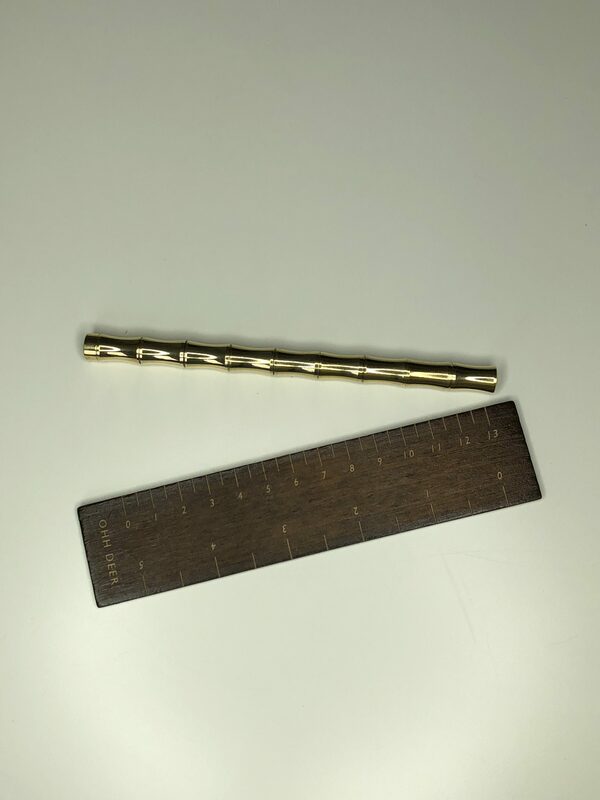 The next thing I got is this brass pen, I am not sure how to describe this other than the lego palm tree that pulls apart. Each twist of this pen can be taken apart and its really confusing until you find the end of the pen. I think this pen is really unique and different to any I have seen. I love the gold tone to it too. Just be careful where you unscrew. When I opened the box my mum instantly said thats lovely. This wrapping paper again is something I wouldn’t choose but I can now see whose present I will be wrapping in this. With all the flowers over the black paper really works. Its brings all the colours together, whilst not shouting out in bright bold colours it really stands out and would be one to be talked about at the party. The final thing I got in this months box is this lovely note book. 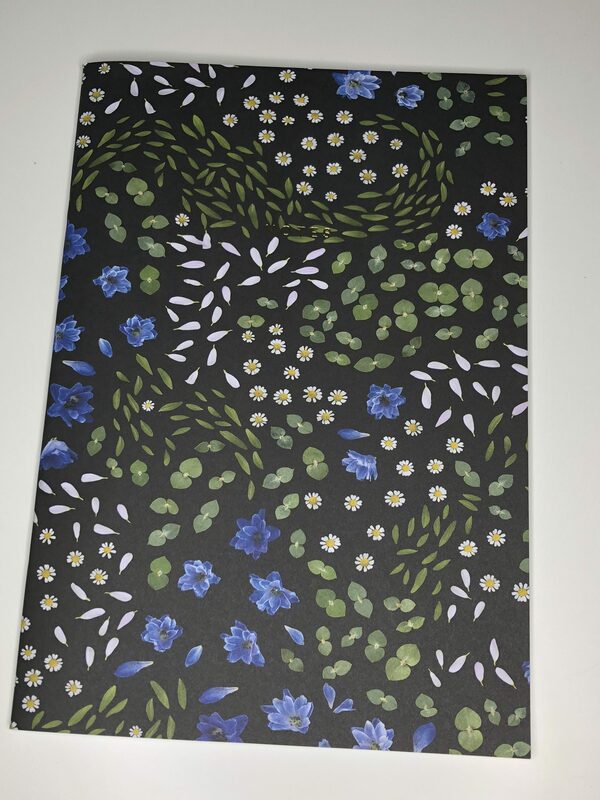 Its the same print again, kind of reminded me of a school note book but obviously with the gorgeous print on. 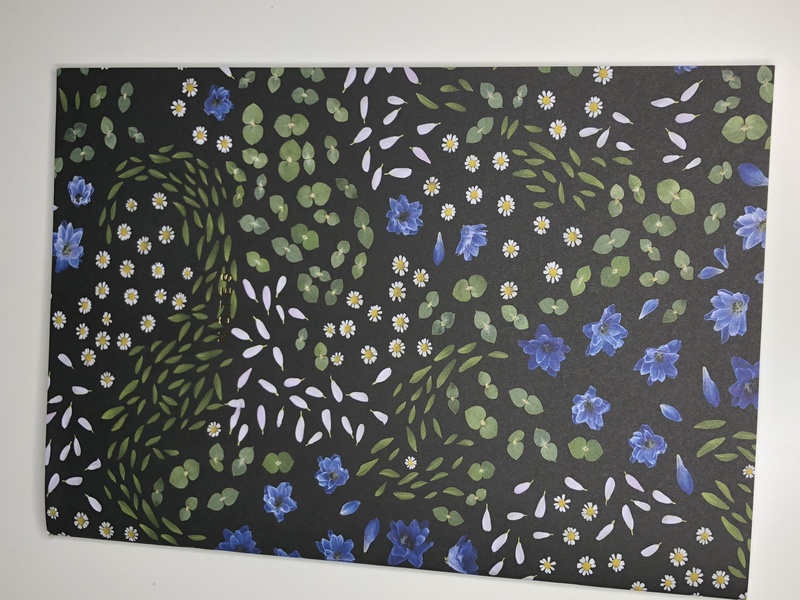 I think its the blue flowers that really bring the note book together and makes you smile when you look at the cover. Well it does me anyway. I love the layout inside the note book too. For those who know me and laugh because I can only use the right hand side of any notebook. You will be amazed I am using both sides. I am using this for a project to co inside with my self care blogs. The left hand page seems more of a journal based note book rather than the right hand side which is a note book. 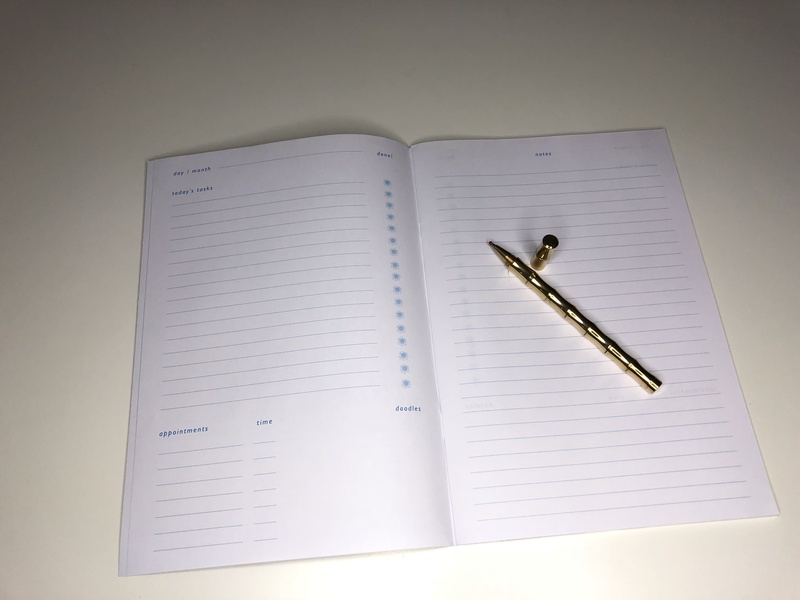 I have started using both pages, the journal side as what I need to get done, appointments etc and then the notes side I make notes on the questions or tasks I need to answer. So this is all I got for my papergang box, I love stationary and even more so because of bullet journalling. Do you like stationary? What was your favourite thing from my box?